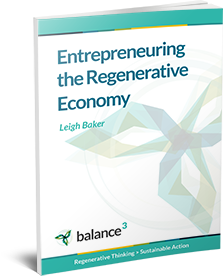 Find out where your opportunities lie to regenerate ecosystems, renew communities and do good business. Do you feel competent and able for whatever the river of life has round the corner? Are you prospering as you journey through life, or are you stuck and struggling? Are you surfing life’s currents and surges effectively, or do you struggle simply to react to the latest crisis? Would you like to live more sustainably in your self? We first learn to manage ourselves the way we learn to walk – getting up, falling down and getting up again – we see what works and what doesn’t in our first two decades of life. And what we learn in our early years can be extra-ordinarily powerful, because it’s learned largely outside our conscious awareness. What we say to ourselves, the hidden beliefs we never vocalise, the moods and emotions we unwittingly copy from those around us – these form the context in which we live. They can often impact how well we live and how effectively we operate, yet remain unseen. Whatever level of sustainability you aspire to in your life, your personal effectiveness is a key factor in the results that you get. Living Regeneratively uses the powerful technology of Ontological Coaching as a framework to put the spot light on HOW you do what you do. It’s a powerful way to take time out – to stop and listen to your internal processing. Our base program is 5 x 2 hour sessions. Exactly how many and how often depends on where you are at and what it is that you want. Learn the importance of the skill of listening. Identify and adapt the patterns in your ways of being that replay your past into your future. Improve your ability to recognise, communicate and negotiate commitments. Identify where your time goes and why, so your choices become conscious. Increase your ability to be your own best friend and partner in life. 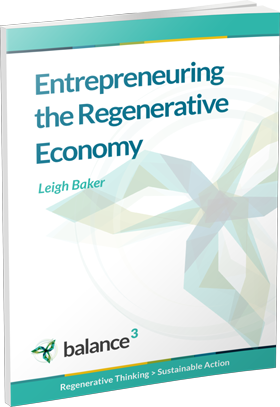 Leigh is the principal of the business innovation practice Balance3 and her clients have included corporations such as Amcor, National Foods, Dair, SPC Ardmona, Kobelco, Corporate Express and New Balance as well as a range of smaller businesses and individual clients. Who Designed This Website? Who Built This Website?